.The home filter/distiller industry really started 50 years ago. During Vietnam, when I owned Precision Switch Corp Port Chester, NY and my Resident Military Inspectors asked me about “SINGLE PASS” DISTILLATION that POISONED our SAILORS. 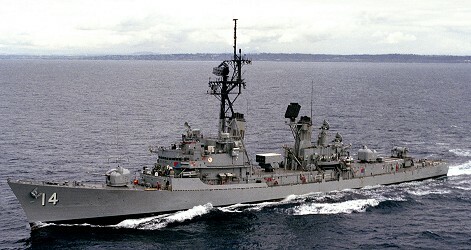 This was aboard the USS Buchanan (Internet) distilling highly diluted Agent Orange Dioxin in HUGE VOLUMES of SEAWATER!! I said: “Filtering and distilling even SMALLER volumes of water using “single pass” distillers will CONCENTRATE chemicals even more and may cause cancer. Like making tinctures, CONCENTRATING the very chemicals you want to remove!!”. As a result, the founder of a major “single pass” distiller company died of cancer in his early 50s just as I warned! The military sprayed Agent Orange on the jungle to kill vegetation and along river banks. Rivers flow into harbors. Deck logs obtained by 8 On Your Side show the Buchanan maneuvering into Da Nang Harbor on August 12, 1966. Herbicide exposure maps for that same day also reveal the military sprayed thousands of gallons of Agent Orange around Da Nang. Advocacy groups contend the VA is ignoring plenty of scientific evidence. Which showed Blue Water Navy vets were exposed to a more concentrated form of Agent Orange through ships’ water systems. Distillation systems turned salt water into fresh water to power ships engines and more. “We drank that water; we bathed in it, brushed our teeth, everything in that water,” Mike said. According to studies done by the Australian Navy, as well as the Institute of Medicine, distillation systems actually exposed sailors. This was on ships in harbors and just off the coast to a more potent form of Agent Orange.